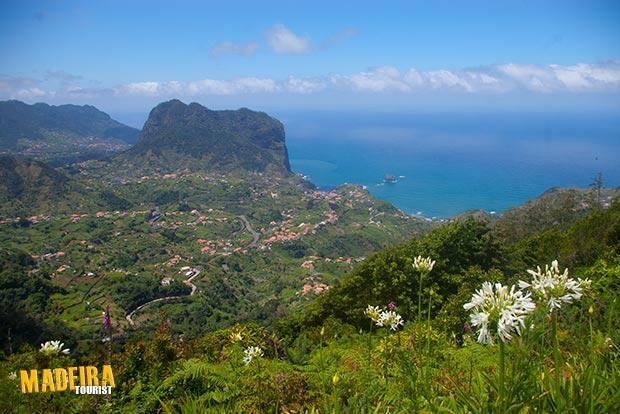 The Madeira Archipelago is situated between latitude 32º22’20"N and 33º7’50"N with its longitude between 16º16’30"W and 17º16’38"W. The island of Madeira has a surface area of 459 square miles (741 km2), (35 miles long and 13 miles wide). The island is 310 miles from the African coast and 620 miles from the European continent, which is the equivalent of a 1 hour 30 minute flight from Lisbon. The archipelago, discovered by the Portuguese in 1418, is made up of the islands of Madeira, Porto Santo and the uninhabited islands of Selvagens and Desertas. Because of their privileged geographical position and mountainous relief, have a surprisingly mild climate. Very mild average temperatures, 22ºC in the summer and 16ºC in the winter, and a moderate level of humidity confer upon these islands exceptional subtropical features. The seawater temperature is also very mild, because of the influence of the warm Gulf current, presenting averages of 22ºC in the summer and 18ºC in the winter. 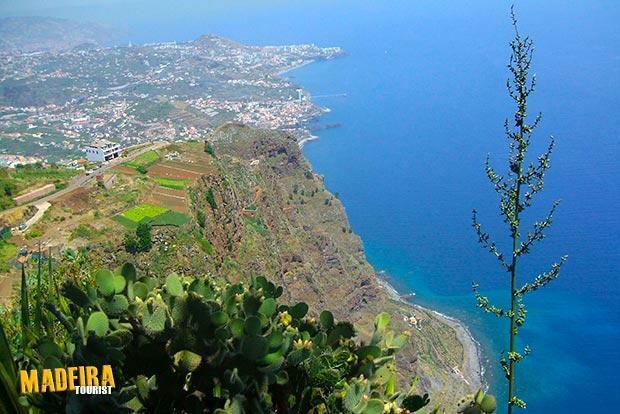 One can reach the islands of Madeira and Porto Santo by air or sea. There are two airports: Madeira International Airport - in Madeira, and Porto Santo Airport, on the island of Porto Santo. Because the ports of Funchal and Porto Santo are often visited by cruising ships, they serve as gateways to the islands, as well as departure points to other destinations. Connections between the islands are either by air or ferryboats, which also transport cars. Surface transport on the islands is trouble-free thanks to the modern road structure, which has been significantly improved in recent years. Practically all points of these islands are served by a good road and transport network. Visitors coming from the European Union, members of the Schengen Treaty, are granted unrestricted entry. Visitors from member states that are not signatories to this treaty need an identification document. International visitors should have a valid passport and, in some cases, a visa to visit Portugal might be requested. There is no need for any kind of vaccination. Customs Formalities: Products leaving the island are not subject to any limitation. However, if a quantity is considered excessive, the customs officers might require a document proving that the articles are for personal use. In addition to the traditional local craft products, Portuguese shoes, flowers and tropical fruits are favoured purchases on any visit. Our famous Madeira wine deserves special attention. Wickerwork, tapestry and the renowned Madeira embroidery should also find a place in the departing holidaymakers’ baggage. 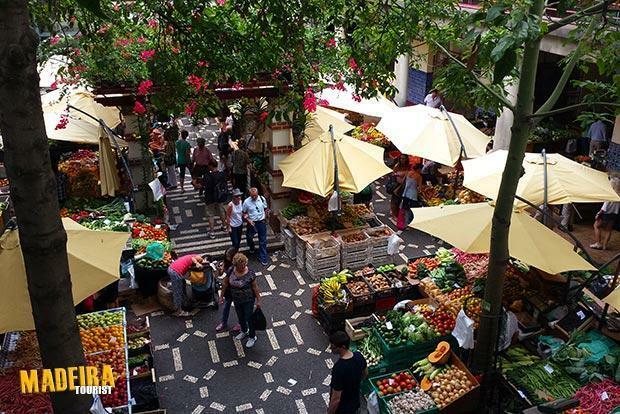 On the streets of Funchal, one can find shops selling the brands of internationally famous fashion designers. Shops are open from 9:00 to 13:00hrs and from 15:00 to 19:00hrs, Monday to Friday. On Saturday from 9:00 to 13:00hrs. Some shopping centres are open from 10:00 to 22:00hrs or 23:00hrs every day. Major credit cards are accepted in hotels, restaurants and shops. The region is very well developed in terms of IT networks and telephone communications. The international access code is +351, and the regional area code is 291. Banks are open from 8:30 to 15:00hrs, Monday to Friday. Foreign Exchange offices work from 9:00 to 13:00hrs and from 14:00 to 19:00hrs, every day, except on Saturdays when they open from 9:00 to 19:00hrs. Outside these periods, the hotels can make currency exchange. Population: 268 000 people live on these islands according to data collected in 2011. Half of the population lives in the capital. Population density is very high, reaching 334 inhabitants/sq km in Madeira and 130 per sq km in Porto Santo. 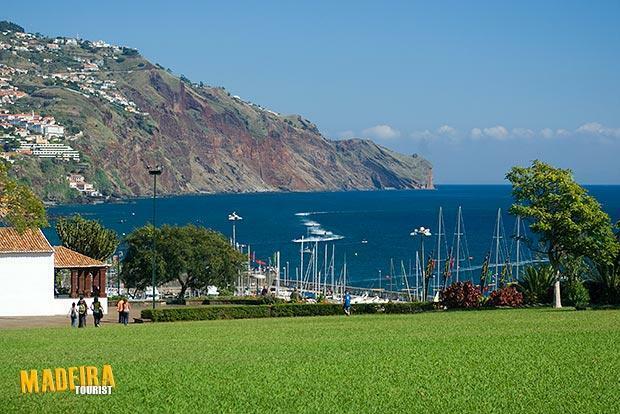 Time: Madeira follows Portuguese time with Summer time. 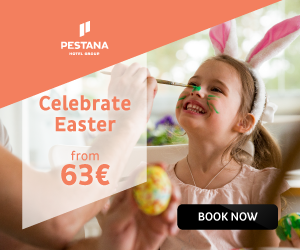 Clocks advance one hour in the last Sunday of March and go back one hour in the last Sunday of October, according to the regulations of the European Union. Electricity: The electric current is 220 volts. Water: There is plenty of water of an excellent drinking standard. Porto Santo uses treated seawater, but all of it can be consumed. Post: The main post offices, 'Correios de Portugal (CTT)', are at the centre of Funchal, at Avenida Calouste Gulbenkian and Avenida Gonçalves Zarco. There are daily collections at 11:00 and 15:00 from the post boxes placed all over the island. Chemists: Chemists are open from Monday to Friday — some from 9:00 to 13:00 and from 15:00 to 19:00, while others are open until 20:00/21:00, sometimes with no lunch break; on Saturdays they are usually open from 9:00 to 13:00. In addition, at the door of every pharmacy you will find advisory notes about the pharmacies currently open, which is especially useful on Sundays. Hospital Centres: There are 47 health centres situated around Madeira island, and one at Porto Santo. In Funchal there are three hospitals. Safety: Since Madeira is one of the safest holiday destinations in the world, you just need to take the minimum common-sense precautions. In most hotels there are safes or deposit boxes where you can keep your valuables. Tips: The normal rate for good service is 10%. Camping Parks: There are two official camping sites on the Madeira archipelago, one in Porto Moniz (Ribeira da Janela) and the other in Porto Santo, in the town of Vila Baleira. 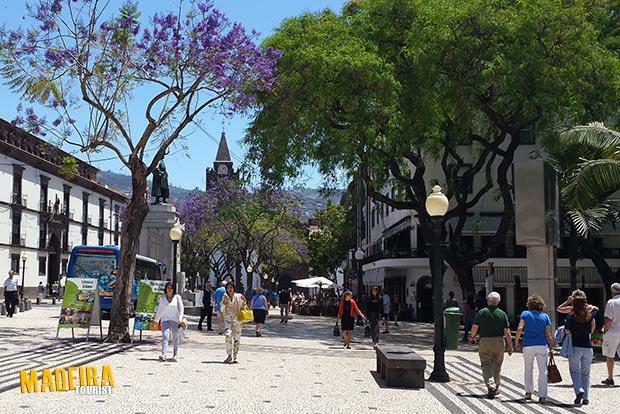 On the 1st of July the Autonomous Region of Madeira celebrates its holiday, while on the 21st of August is Funchal city’s turn. Religious festivities, with variable dates, are also celebrated in the Islands.